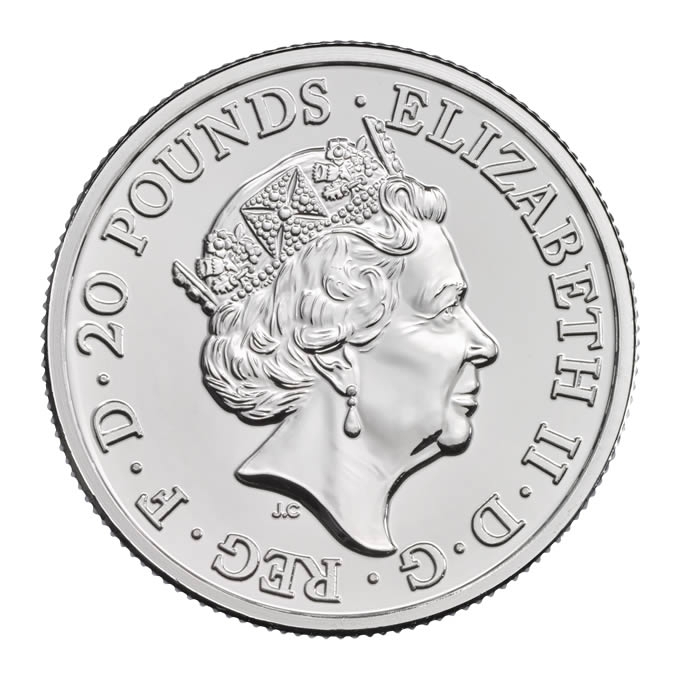 Britannia coins are British bullion coins issued by the Royal Mint in Gold since 1987 and in Silver since 1997. 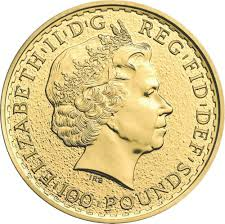 The Gold coins contain one troy ounce of Gold and have a face value of £100. They are also issued in fractional sizes of one-half, one-quarter, and one-tenth of a troy ounce; with face values of £50, £25, and £10. 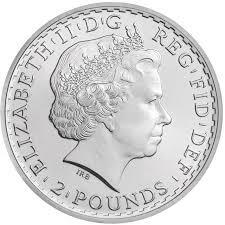 The Silver coins contain one troy ounce of silver and have a face value of £2. They are also issued in fractional sizes of one-half, one-quarter, and one-tenth of a troy ounce, with face values of £1, 50p, and 20p.